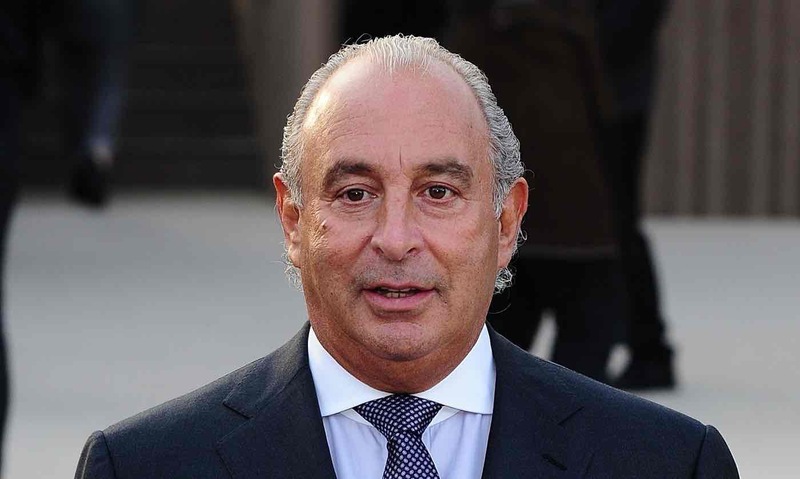 Sir Philip Green ‘would have sorted’ the BHS pension scheme long ago if he had faced a £1bn fine, said Frank Field MP. Sir Philip Green may have to pay £1bn to resolve the problems facing the BHS pension scheme under proposals tabled by MPs. The work and pensions committee, which is chaired by Labour MP Frank Field, has called for the government to introduce a “nuclear deterrent” to stop companies or individuals trying to avoid their responsibilities to pension schemes. The deterrent is part of a package of measures proposed by the parliamentary committee to avoid another BHS scandal. BHS collapsed into administration in April, leading to the loss of 11,000 jobs and leaving a £571m deficit. The regulator has started legal proceedings against Green and Dominic Chappell, the former owners of BHS, in an attempt to fill the deficit. They collected millions of pounds from the retailer. As well as threatening punitive fines, the MPs said TPR must become a “nimbler, more proactive regulator”. They said the regulator must consider recovery plans for pension schemes in deficit that last more than 10 years as “exceptional” and that it should approve every major corporate transaction. These powers would have allowed the regulator to block a 23-year plan drawn up by Green for the BHS pension scheme while he owned it in 2012, and stop the sale of the retailer to Chappell, a three-time bankrupt. In addition, the committee wants pension trustees to have the power to negotiate a restructuring of struggling schemes that could result in better outcomes than entering the Pension Protection Fund, where benefits are cut by at least 10%. The PPF, a government-backed lifeboat scheme, is funded by a levy on all defined benefit pension schemes. The MPs say that good corporate behaviour could be rewarded in future by paying less into the PPF. Field added: “The measures we set out in this report are intended to reduce the chance of another scheme going down the BHS route. We hope and expect that we will never again see a company like BHS be able to come up with a 23-year recovery plan for its pension fund, and certainly not that it would take the regulator two years to really begin to do anything about it. Aside from the BHS scandal, the pension problems facing British companies are stark. By the standard measure used by the PPF, 4,272 defined benefit schemes are in deficit and the size of the black hole is £195bn. There are 5,794 defined benefit pension schemes in the UK. Lesley Titcomb, chief executive of TPR, said: “We welcome the committee’s report which recognises the importance of robust and proportionate regulation for workplace defined benefit pension schemes and of ensuring that workplace pension savers and the Pension Protection Fund are well-protected. We note its recommendations and will consider them carefully. Posted on December 23, 2016, in #retail, #uk. Bookmark the permalink. Leave a comment.